Grand dtr of Milksource DTY Tanya-Red EX-94!! Doorman granddtr from Durham Treasure EX-96!! 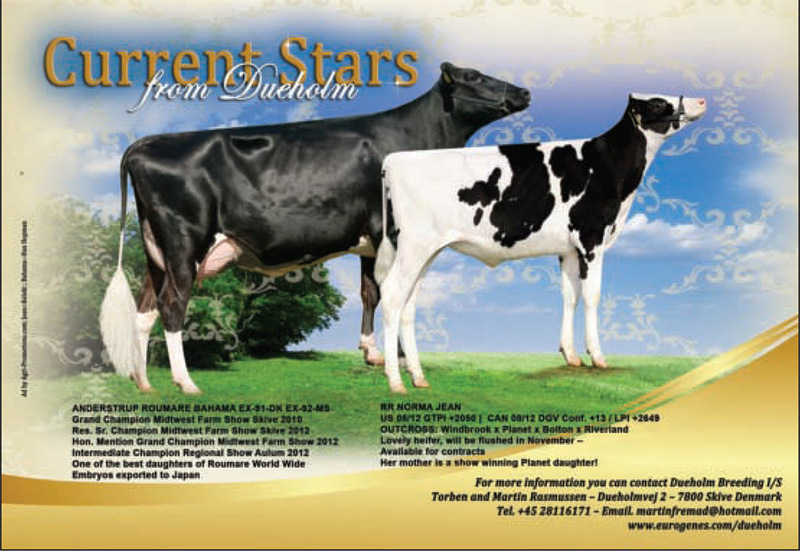 PTAT > 3.00 Grand dtr from BVK Arianna EX-94! Siepermanns Doorman Luisa VG-89-DK EX-MS 2yr. Diamondback going back on Bunte EX-94! Atwood from the Dream EX-93 family! 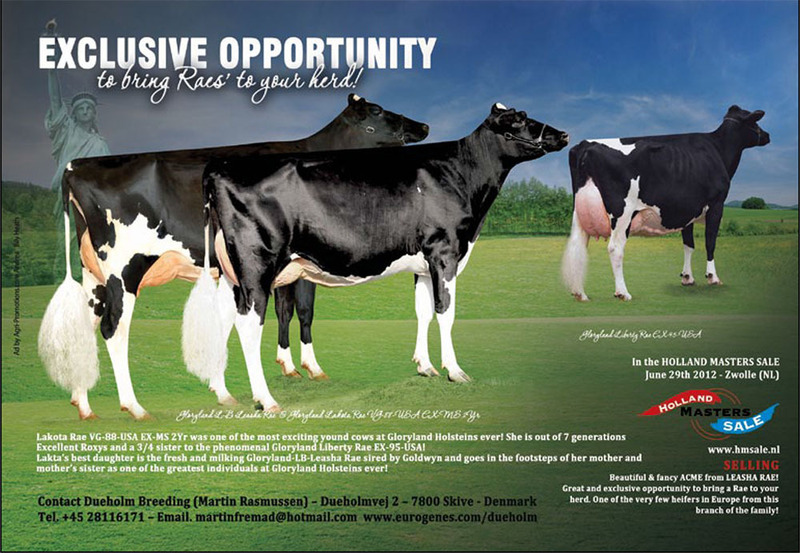 Aftershock grand dtr of JURGOLIN EX-92!! Engelkes Gold Chip Georgie VG-86-DE VG-87-MS 2yr. Mox Goldwyn Cleopatra VG-85-DE VG-86-MS 2yr. A GOLDWYN from Dundee Cleo EX-93!! Dam to Joy-Red: Res. 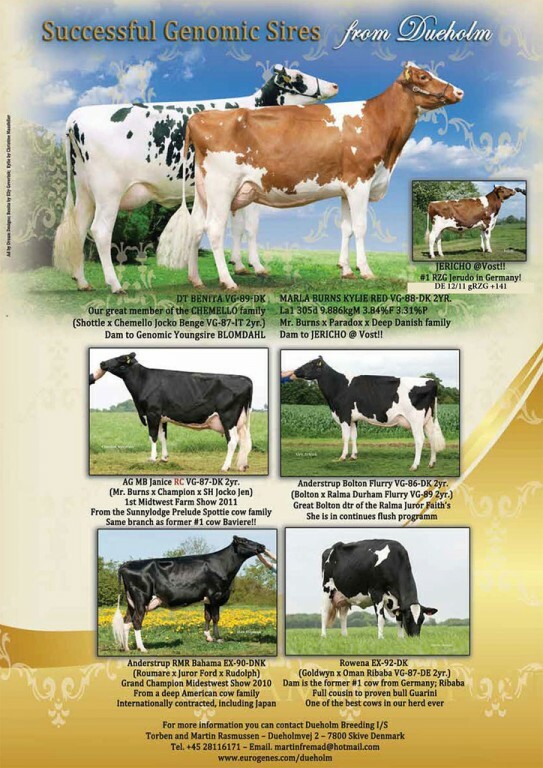 Jr. Champion R&W Swiss Expo! Dueholm Sympatico Irena *RC VG-87-DK 2yr. Vliek Mc Mitty *P VG-88-NL EX-MS La1. 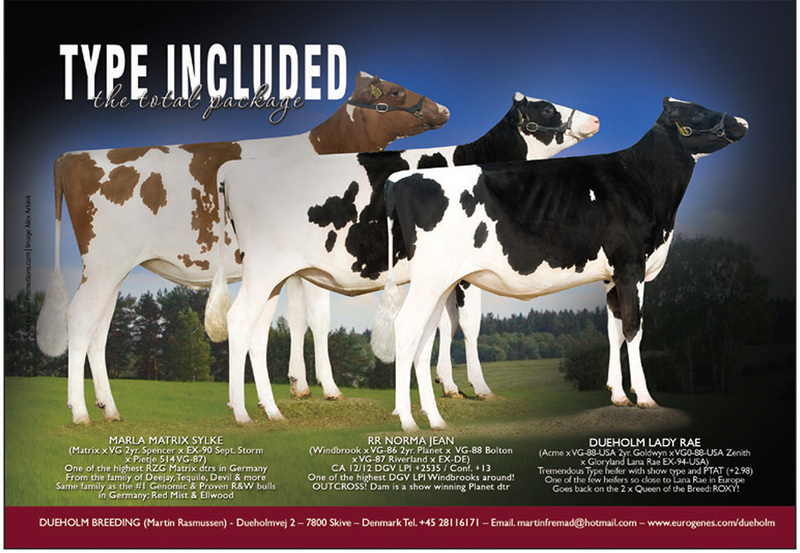 POLLED MCCUTCHEN x MISSY FAMILY! HAM Goldwyn Dream VG-87-DK 2yr. Marla Miss Scarlett-Red VG-88-DK 2yr. 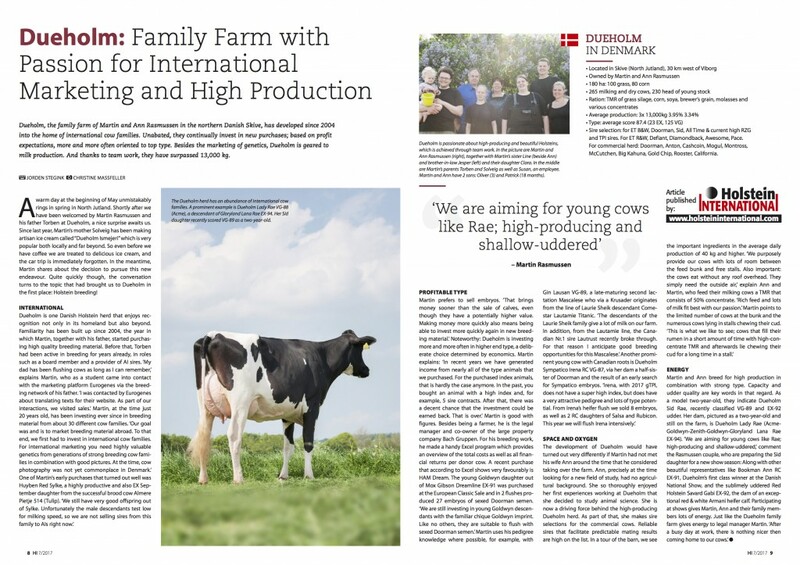 Welcome at the site from Dueholm Breeding I/S Dueholm Breeding I/S is a company which is a drioven seperately from the farm financially. 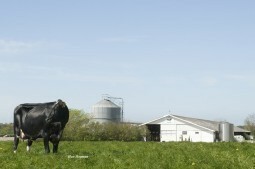 Otherwise the cows and heifers have the same conditions as the rest of the herd. We are at this point only milking 2 times per day, the average milkproduction from the 260 milkingcows we currently milking is 13.500 kg milk per cow with 3.8% fat and 3.4% protein. 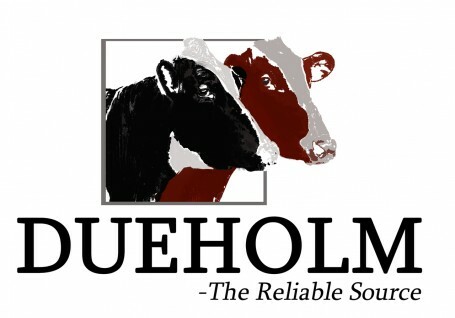 We don't have a flushingprogramm on the farm, but we flush after demand and without demand, if we feel a cow or heifer is underrated regarding the demand.